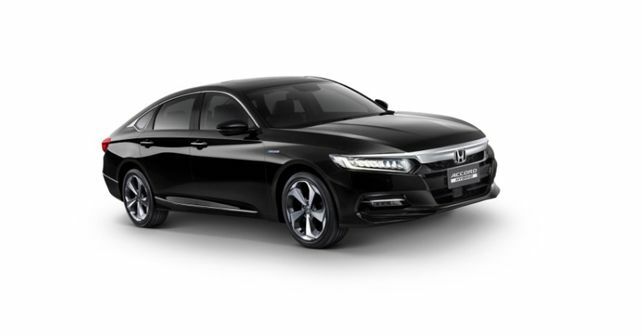 Launched in South Korea in 2018, the new 10th-gen Honda Accord has been recently introduced in Thailand as well; most likely to arrive in India in the same guise. Honda Automobile (Thailand) Company Limited has pulled the wraps off the new, 10th-gen Accord which will be on display at the 40th Bangkok International Motor Show from 27th March to 7th April 2019. While we currently have the 9th-gen model on sale here, what interests us is the fact that India has a propensity for bringing in models which are introduced in Thailand. Thus, this could hint at the fact that we too are most likely to get the same car here to replace the current Accord. Despite good looks and a refined drive, the current Honda Accord has not been able to fetch the desired numbers simply because of its exorbitant price tag and a hybrid-only option. However, in Thailand, the 10th-gen Accord has been announced with two powertrain options: A 1.5-litre VTEC turbo petrol and a 2.0-litre 4-cylinder DOHC i-VTEC Atkinson cycle motor. While the former is a purely petrol-powered version, the latter features Honda's Sport Hybrid Intelligent Multi-Mode Drive (i-MMD) System with three drive modes - EV (pure electric), Hybrid and Engine (petrol-power only). The 1.5-litre motor produces a healthy 187bhp and the 2.0-litre hybrid setup churns out a total of 212bhp. In terms of styling, the 10th-gen Accord remains true to Honda's current design philosophy and borrows its cues from the 10th-gen Civic which has been launched here recently. Like the Civic, the new Accord features a new single-piece chrome grille, flanked by new all-LED headlamp units and a sportier front bumper. At the rear too, the new Accord draws heavily from the Civic with similar C-shape LED taillights. While the turbo petrol variant gets 17-inch alloys, the hybrid version receives larger 18-inch wheels. Under the larger rubric of Honda SENSING, the 10th-gen Accord gets numerous safety features like Collision Mitigation Braking System (CMBS), Adaptive Cruise Control with Low-Speed Follow (ACC with LSF), Lane-Keep Assist System (LKAS), Road Departure Mitigation System with Lane Departure Warning (RDM with LDW) & Auto High-Beam (AHB). Other advanced safety features include Cross Traffic Monitor (CTM), Multi-View Camera System (MVCS) and Honda's Smart Parking Assist System. While the official prices will be revealed in May 2019, folks from Honda have disclosed that the top-spec Hybrid Tech version will not cost above 18,00,000 baht (about ₹ 39.36 lakh). This will be good news for the Indian market as the current, 9th-gen model on sale here (available as a hybrid-only) is priced a ₹ 43.21 lakh (Ex-showroom, Delhi). However, we are yet to see whether Honda will rectify its flawed strategy in India by bringing the petrol-only version of the Accord as well, this time around.